At the end of the year last year I did a top 15 of 2015 post and I thought it would be good to do it again this year. It is always kind of fun to look back at the things I have made throughout the year as well as to see which ones have been the most popular. Sometimes they are the ones I expect and sometimes they aren't. I thought since in 2015 I did the top 15, in 2016 I should do the top 16. I am only including posts that were published this year, some of the most popular posts on my blog are older posts but since this is kind of a year in review type post I am only including posts that were new this year. This year has been kind of a weird year for me and my blog. At the end of last year I made a whole bunch of goals and plans for my blog. At the end of last year I also found out I was pregnant with baby number 6. Between what turned out to be my most difficult pregnancy, and a new baby, not to mention the fact that 6 kids turned out to be a bigger adjustment than I thought it would be, things didn't quite go as planned. I had lots of things I wanted to make that I just didn't have time for, as well as things that I made and never got posted. I think now that we have adjusted to having a new baby and especially now that the holidays are over, I am ready to start focusing on my blog a little more. Here's hoping for a more organized and less chaotic 2017, of course I do still have 6 kids and organized is probably not a word anyone would use to describe me but I can always hope, right? 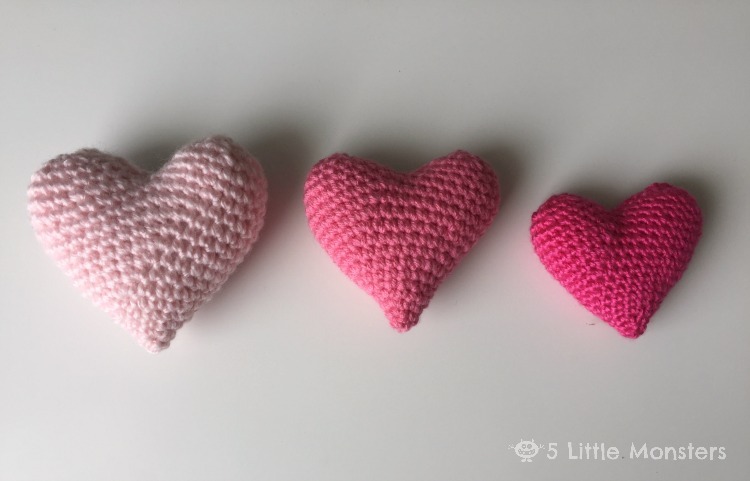 Coming in at number 16 are these puffy hearts that I made for Valentine's Day last year. Now is the perfect time to make some for this year. Next up is this Moss Stitch Pillow (or Linen Stitch, or Woven Stitch, or whatever else this stitch may be called). 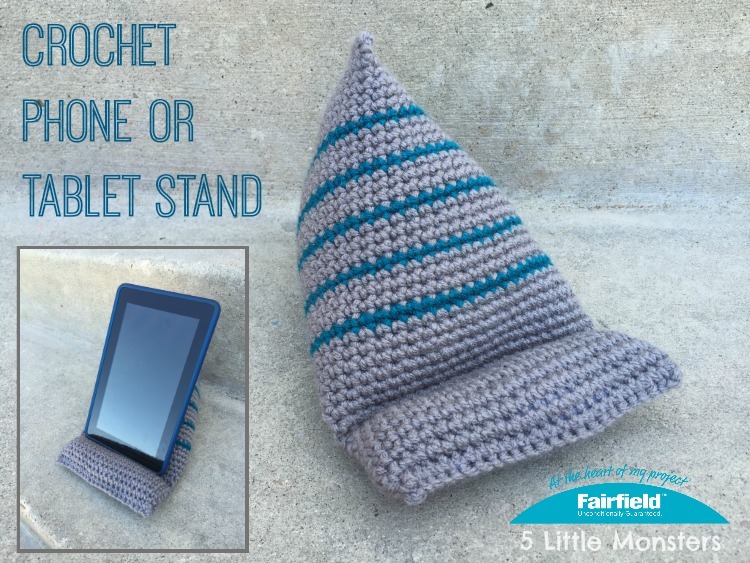 This is a great project if you want a quick and easy pillow, the combination of an easy stitch and bulky yarn mean it works up really fast. 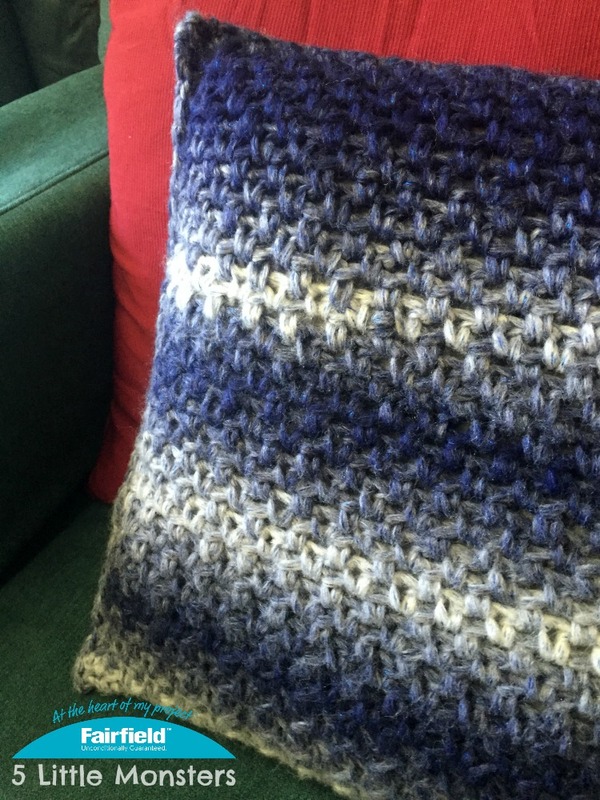 My most popular posts are almost always crochet projects and this blanket is the one exception this year. 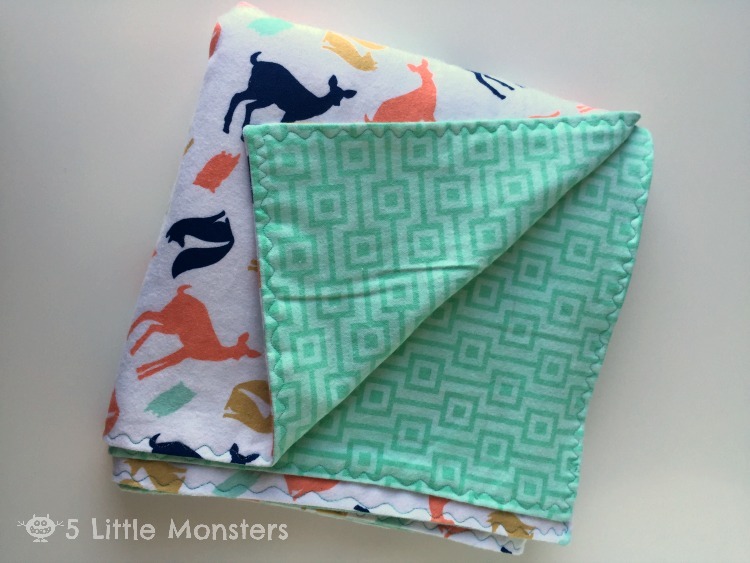 This is such an easy and practical blanket to make for baby gifts. I made several for my baby and use them all the time. Number 13 is the black cat I made for Halloween, I guess that seems appropriate. 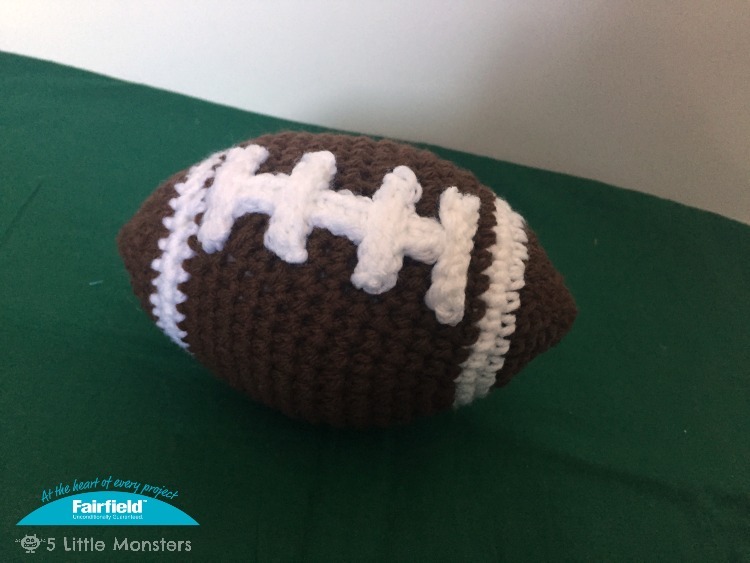 This little stuffed football is the perfect size for babies and little kids to play with, it is a great project for this time of year with lots of big games coming up with bowl games, playoff and championship games on both the college and professional level. 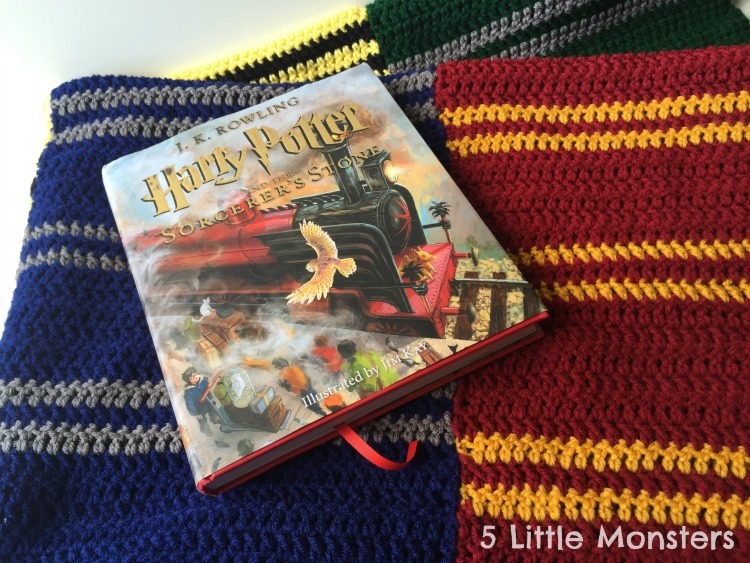 I made this blanket as part of a big Harry Potter Series that a bunch of bloggers participated in. I think this was one of my personal favorite projects this year. I don't crochet blankets very often so it was kind of fun to make, and actually finish, one that was bigger than a baby blanket. Plus I love the Harry Potter books and this blanket is perfect for curling up under to read them. 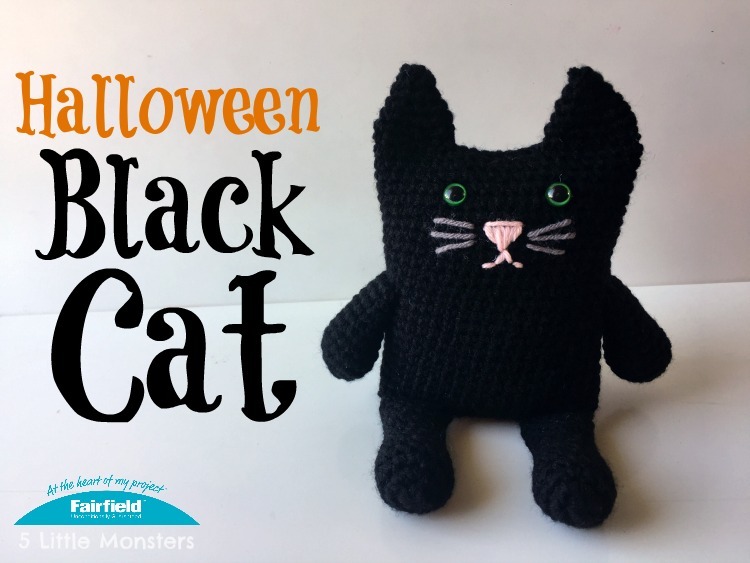 Now we have reached to top 10 and coming in at number 10 is the crocheted Jack O' Lantern that goes along with the black cat that was number 13. This project was a gift idea for grads and dads. I had seen similar stands that were knitted or sewn so I decided to make a crocheted version. 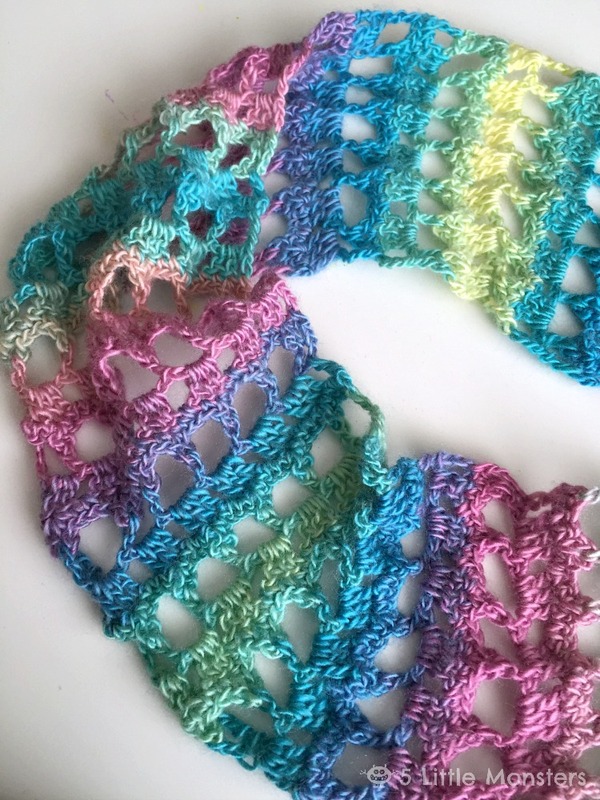 The springy colors and open stitch of this scarf make it perfect for springtime. 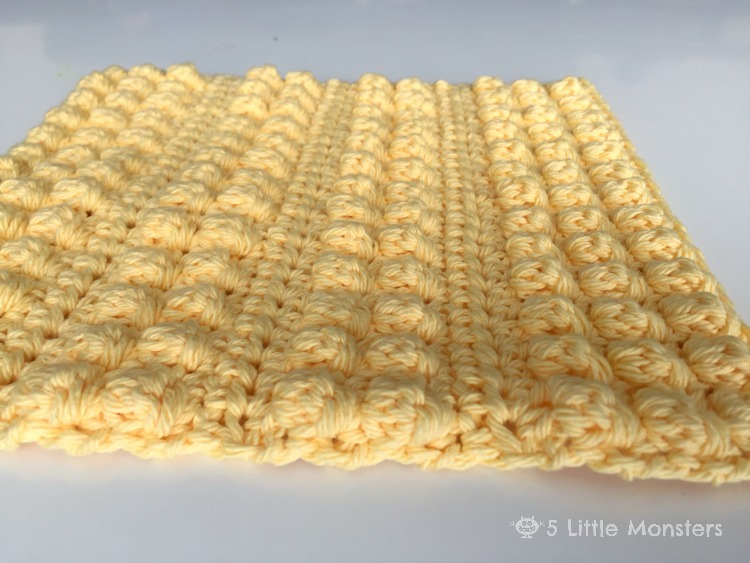 This isn't my most popular dishcloth on my blog but I didn't post a lot of new dishcloth patterns this year, in fact this may have been the only one. I might need to work on that in 2017. This little nativity set was really fun to make. 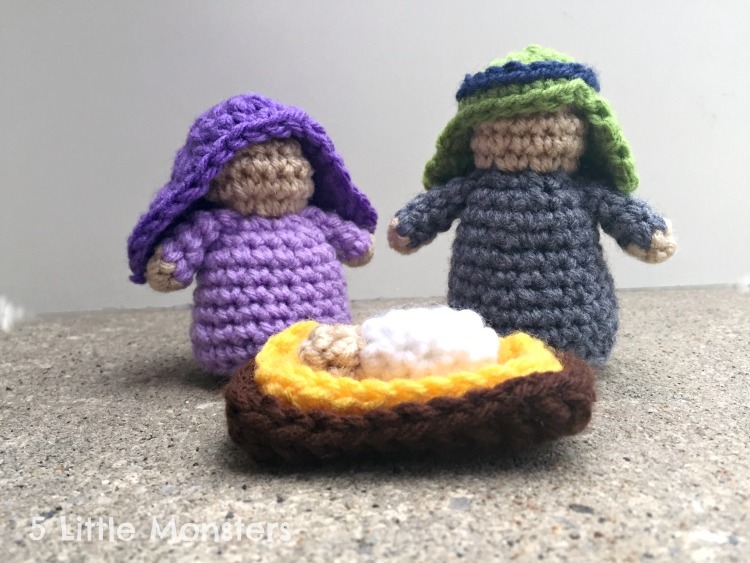 My original nativity set is probably the most popular pattern of all on my blog and this little spin off of the original has done well too. I also made a stable to go along with this set but that didn't make it into the top 16. 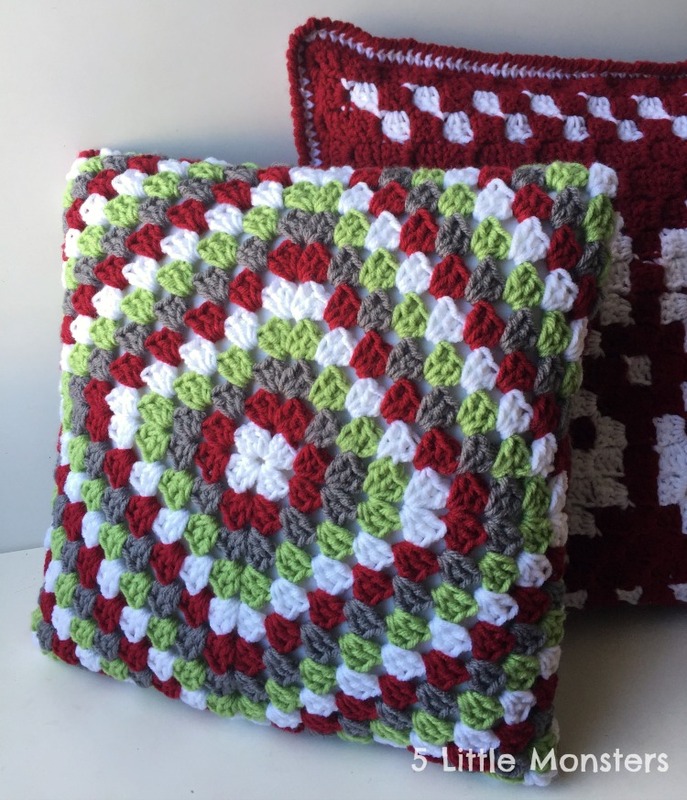 I made this pillow in Christmas colors and put it out for the holidays but you could easily make it in any colors you want. 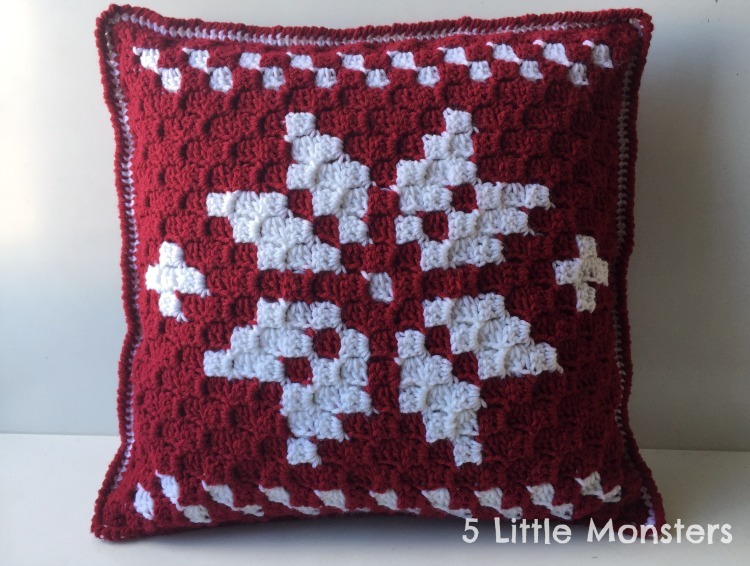 It is such a classic crochet design it would work for any time of year. 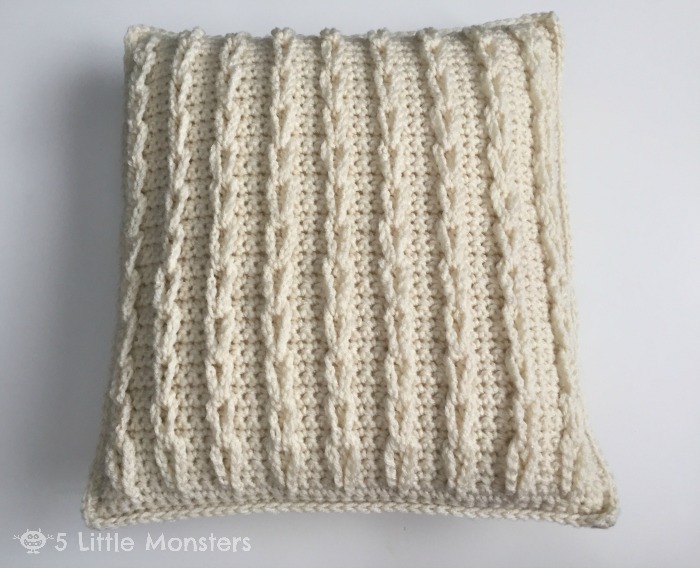 My fourth most popular pattern this year is the Cable Loop Pillow. 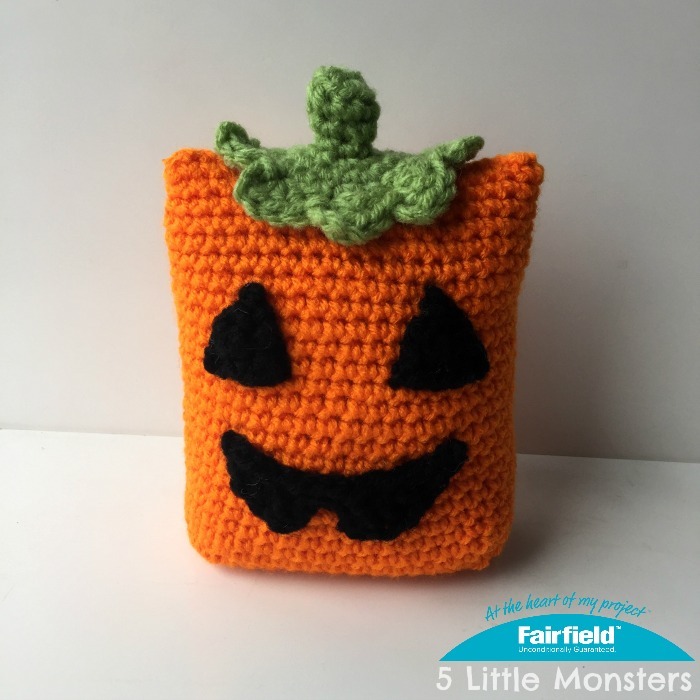 This was a fun pattern for me because I made it as a project for Fairfield World and now it is available as a free pattern in JoAnn stores, you can find it near the pillow inserts. It was really cool to see one of my patterns in print in a store. Coming in at number 3 is my Scandinavian Snowflake Pillow. It seemed like everyone was doing corner to corner crochet and I felt like I needed to give it a try so I made this pillow. I really enjoyed it and I think I will probably use it again. 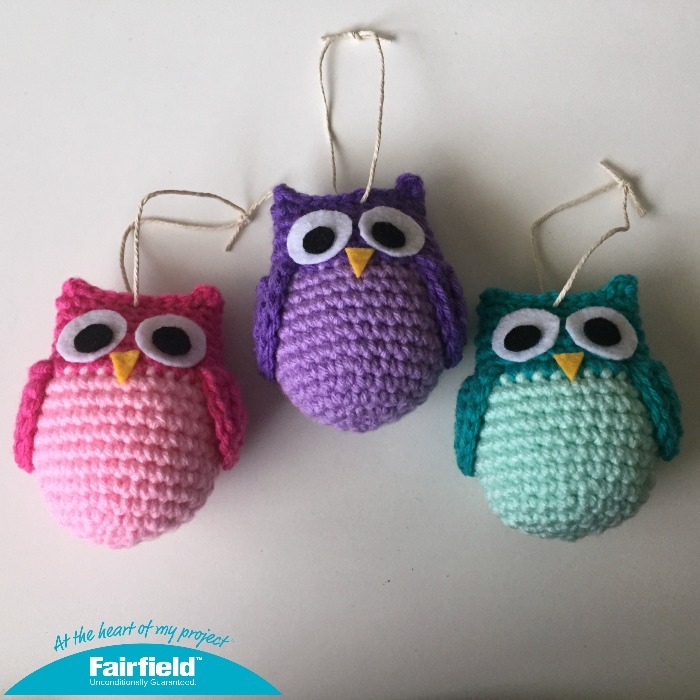 My second most popular post this year was these colorful crocheted owl ornaments that I made for Christmas. 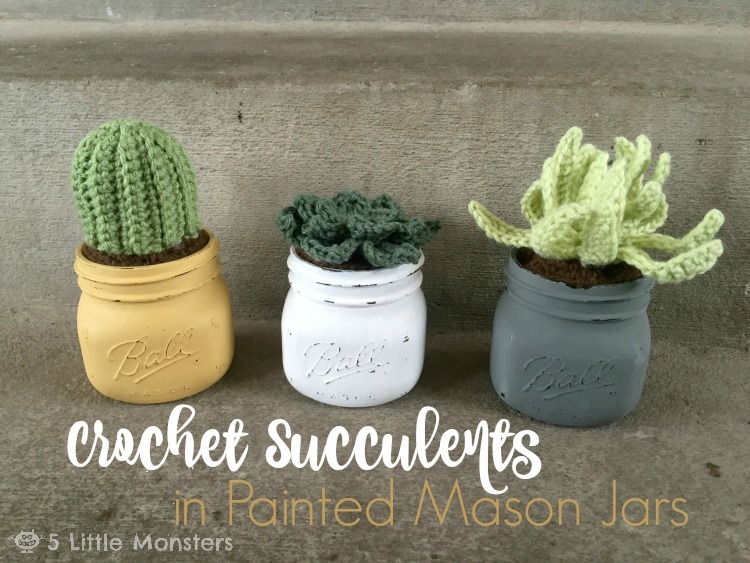 And now for the most popular post of 2016- The Crochet Succulents in Painted Mason Jars. This was one of my favorite projects so I was kind of excited that other people seemed to like it to. 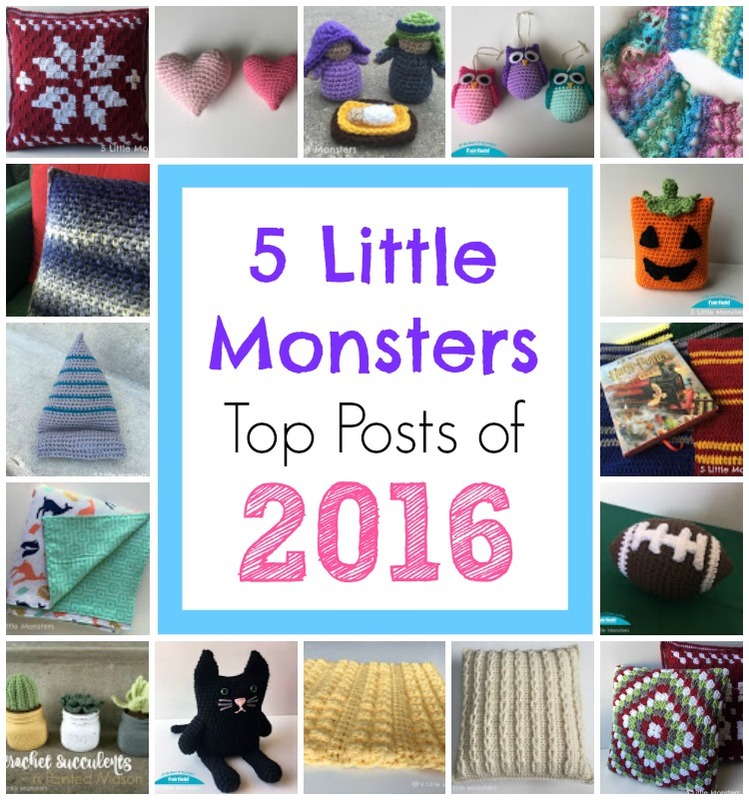 It was fun to look back and see what the most popular posts of the year were. I am excited to start a new year with new projects and patterns to share.